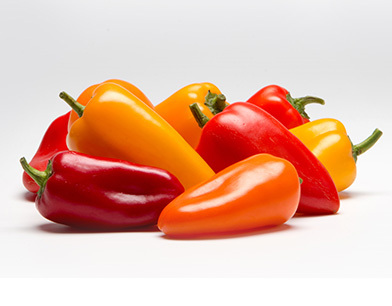 The perfect pepper snack, our sweet mini yellow, red and orange peppers are packaged together for lunches and healthy afternoon snacks. Imagine the serving possibilities with your favorite salads. Or drizzle with olive oil, stuff with goat cheese and bake for a mouthwatering appetizer. 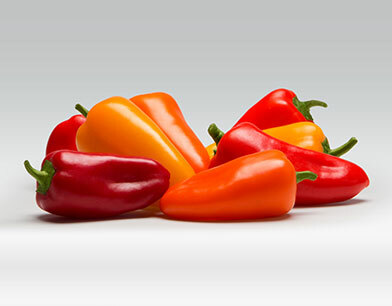 Plus these peppers have minimal seeds and are sweeter and milder than most varieties. In other words, they beg for you to pull out the ranch and start dipping.